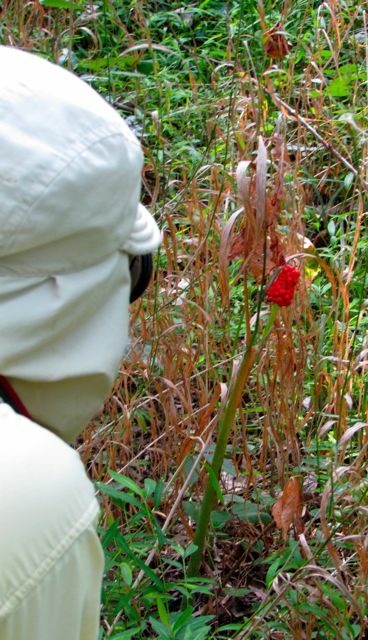 Birthday Boy shooting a Jack-in-the-Pulpit fruit. Yes, that’s right, folks. Wonder Spouse celebrates another trip around the sun today, and like fine wine, he just keeps improving with age. I took this shot of the Ace-Photographer-in-Action last weekend, when he shot all those pictures I told you about in my previous post. You’ll see more of those as he finishes post-processing them. Wonder Spouse believes his birthday should be ignored, but I could not be prouder of my spouse and his achievements, so today, I want to share just a few more of his amazing photographs. These were taken over the course of the last 4 years, and I think you’ll agree they are spectacular. 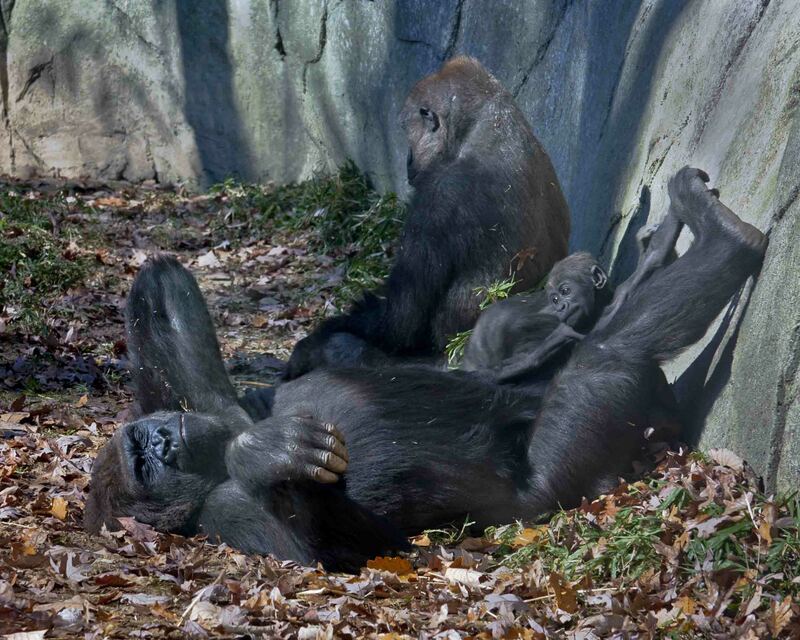 Family photo taken at the NC Zoological Park. Lest you think Wonder Spouse only shoots botanical subjects, I thought I’d include a couple of his photos from our trips to the NC Zoological Park in Asheboro, NC. We try to get there at least once a year, usually in the late fall when there are fewer visitors, but the animals are still active. This shot speaks for itself, I think. 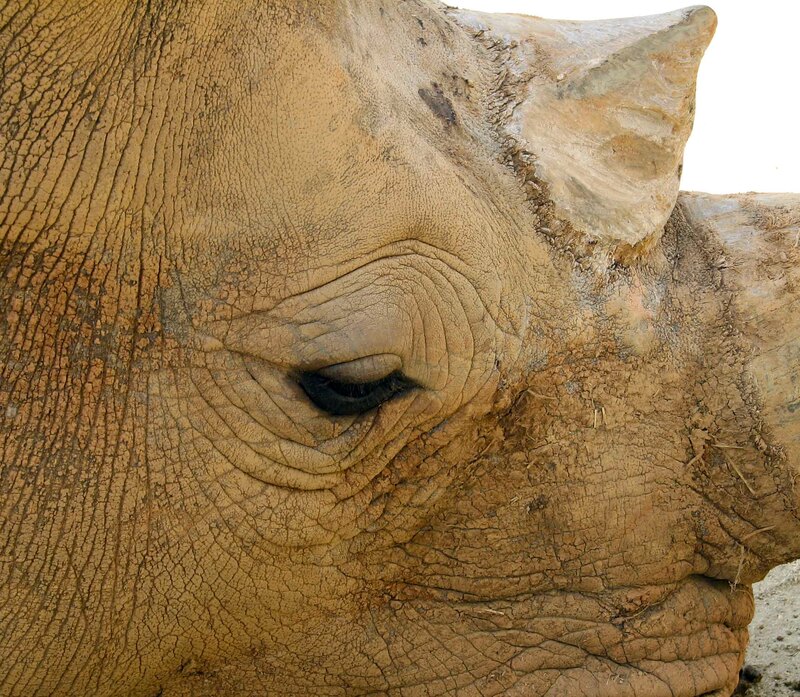 A close-up any rhino would love. I love this one. It proves that wrinkles can be beautiful! Long-time readers may remember this photo. 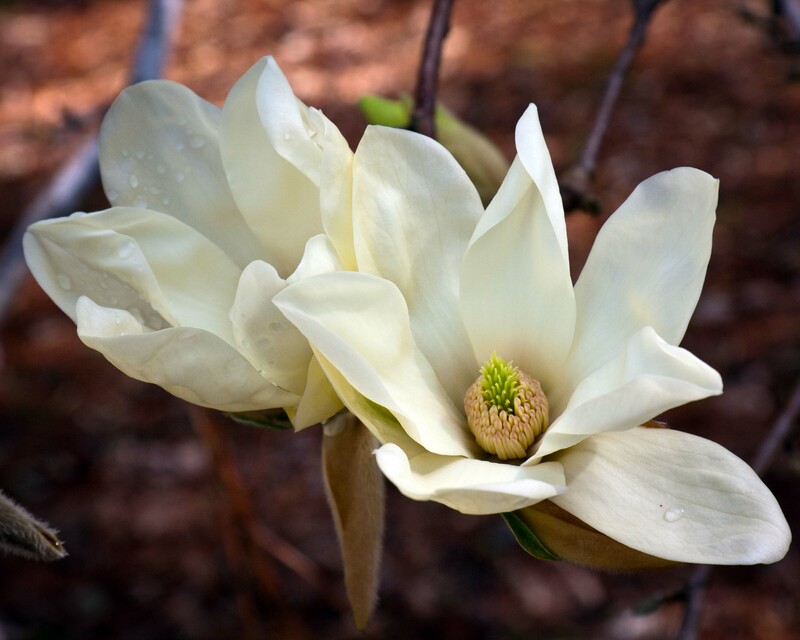 Our now 50-foot-tall Magnolia ‘Elizabeth’ glows magnificently in our landscape when she’s in full bloom. But you really need to view her flowers closely to fully appreciate this tree. 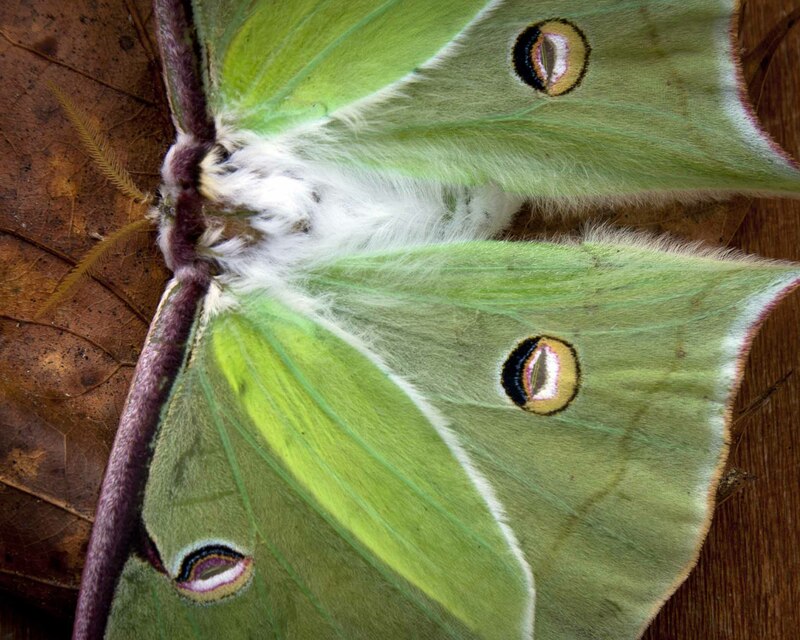 I love the details visible in this close-up of a Luna Moth — the feathery antennae, the almost fur-like look of the wing scales — exquisite, yes? 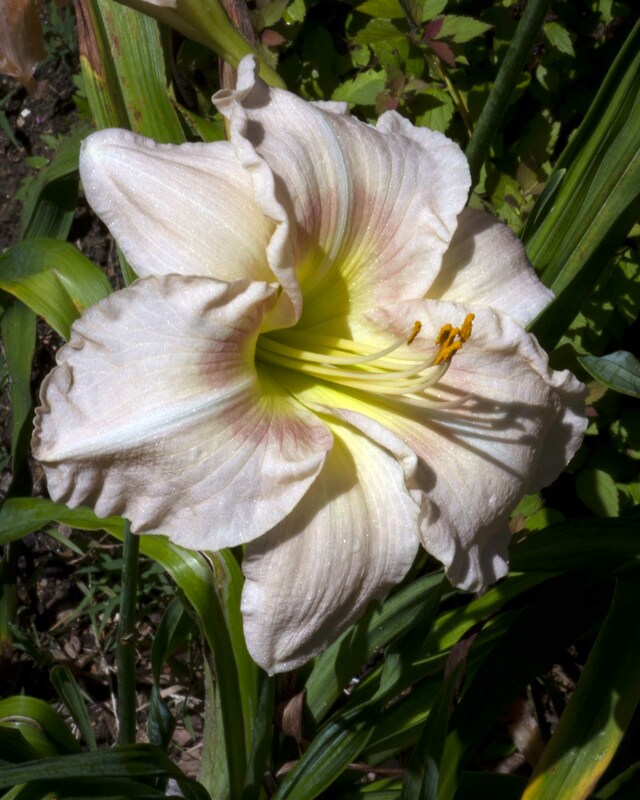 This Wonder Spouse photo really highlights the subtle beauty of this daylily. 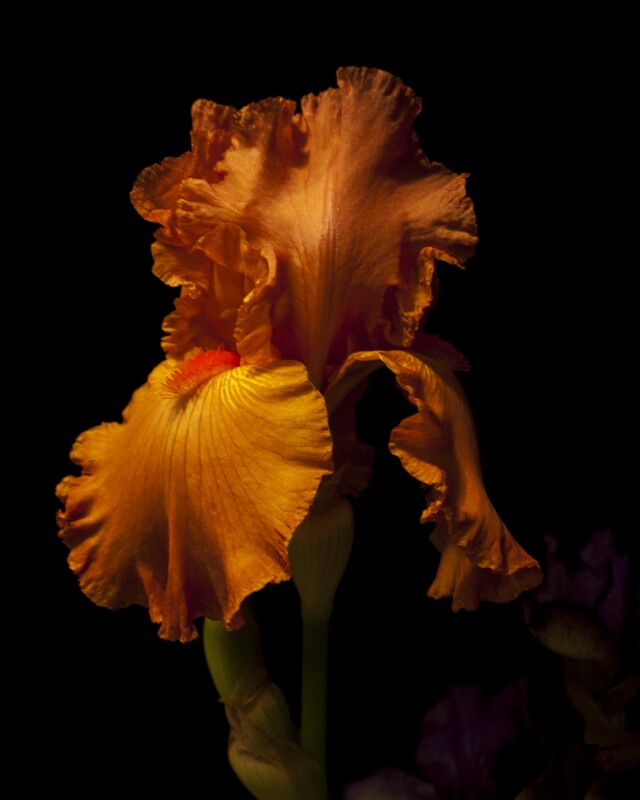 If you click on it to enlarge it, you’ll see the petals almost shimmer. Daylily blooms only last one day. I’m so glad Wonder Spouse preserved this blossom for eternity. This photo really shows off Wonder Spouse’s artistry. He wanted to play with light, so he brought a bloom into the house and experimented with lighting until he got the effect he wanted. I think he got it right. What do you think? 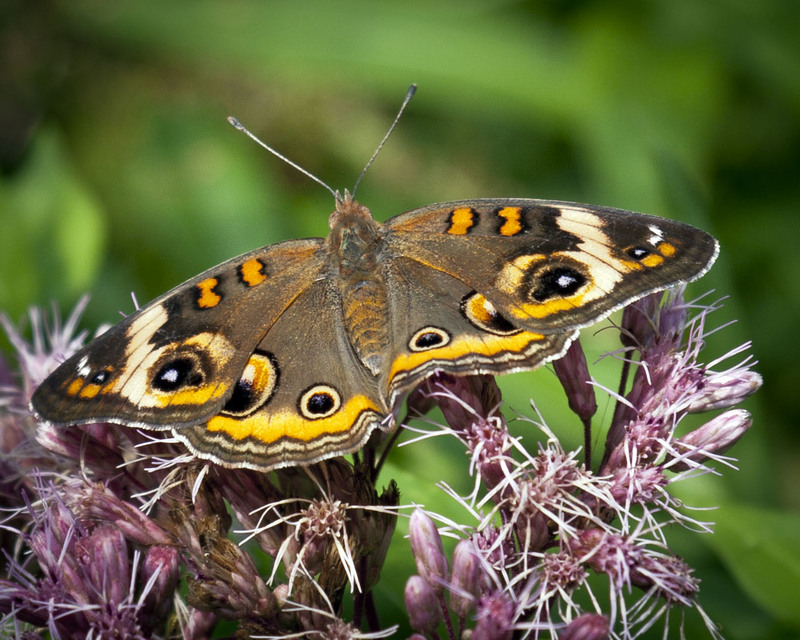 I think this shot really shows off the beauty of our native Common Buckeye Butterfly. Although, I don’t think its looks are “common” at all. Wonder Spouse makes it look easy to photograph butterflies and other creatures, but, trust me, those little critters never stay in one place for very long. It takes considerable skill to frame a shot like this one. Even plants are trickier than non-photographers might think. The slightest breeze can turn a perfect shot to blurred fuzz. 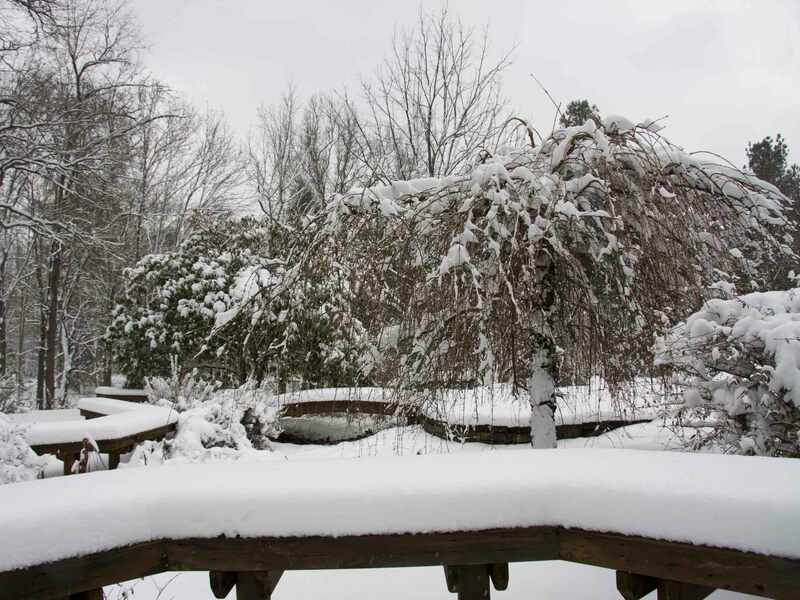 We haven’t had a photo-worthy snow in a few years now. I love the way a good snow obscures all the imperfections in a landscape while highlighting structural elements like trees and garden benches. The Birthday Boy’s skill in framing a landscape shot is fully evident here. I think you’ll agree with me that he is a true artist with the camera. He has many other praise-worthy attributes as well, but he’s likely going to be unhappy with me as it is for making him the subject of a blog post. Too bad, Wonder Spouse. Today is your day. It deserves to be celebrated. And I count my blessings daily that I get to share your journey with you. This entry was posted on September 5, 2013, 7:36 am and is filed under Favorite Plants, Native Wildlife, piedmont gardening. You can follow any responses to this entry through RSS 2.0. You can skip to the end and leave a response. Pinging is currently not allowed. Thanks, Mary. I’ll be sure to pass along your comments to the Birthday Boy himself. Hope you’ve had a great day. Happy birthday, Wonder Spouse! As usual, the photos are fabulous! I’ll be sure to pass along your well wishes, Sheri. He very much appreciated your compliment about the photos in the previous posting too. Belated birthday greetings to your Wonder Spouse! And you’re so right about the difficulties one encounters when trying to photograph butterflies. My own attempts just yesterday were sadly unsuccessful. Happy Fall! I’ll happily pass along your greetings, alhoffer. And those butterflies are tricky little critters to be sure.